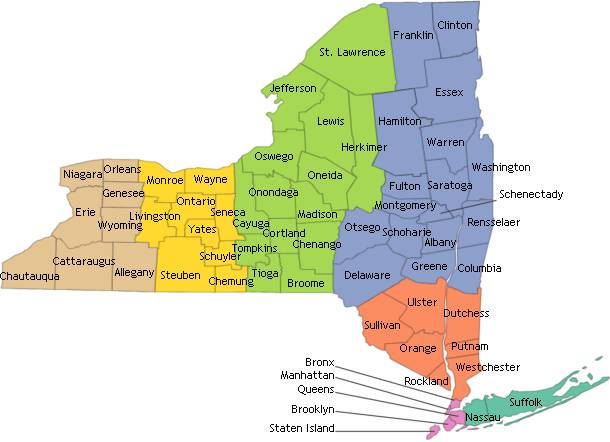 Each county in New York has been assigned a "Training Region" based upon geographic location. To view the New York Training Region Map, click here. NOT Located within NY or Canada.